SPRING HILL, Kan. (KDVR) — A small Kansas town may hold some big secrets to an unsolved murder, even decades later. Back on Dec. 7 in 1996, 15-year-old Tawnya Knight disappeared without a trace. Six months later her body was found not far from home. Most people in town suspected she ran away, but her parents knew something was wrong from the beginning. Years later, a new set of eyes may be the key to unlocking the truth of what happened to Tawnya. December 7, 1996, is frozen in Frank Knight's mind. It was the day his daughter, Tawnya, came into his bedroom and asked if she could go to a sleepover. "I gave her a time to be home the next morning because she was very prompt on being home. That was the last I got to talk to her," Frank Knight said. All these years, later he can't remember who she was meeting, but it's the one thing he wishes he could. The next day when noon, 4 and 6 p.m. passed, he didn't know what to do but go to police who he said told him to come back the next day. "Something was really bad," Frank Knight said. Tawnya grew up in Arizona with her mom, Lori Knight, but had come to live in Kansas with her dad a few years earlier. Her dad said he thinks she just wanted a change, and it was one Lori was willing to give her daughter. "I missed her, but then also, it was something she wanted to do. I also wanted to give her dad a chance to raise a teenager," Lori Knight said. On the December day she found out her daughter was missing, she was in shock. The Spring Hill Police Department told her they considered Tawnya a runaway, and that she would be home in a few days. Back in 1997, after her body was found, FOX4 interviewed a boy who knew her from school. "Everybody thought she just went and lived with a friend in Olathe because she had a lot of friends in Olathe, and that`s what everybody said. So nobody worried about it that much. I mean, none of the kids did really," the teen said. "She would have taken her makeup. She would have taken her clothes, her stuff for her hair," Lori Knight said. Investigators told Lori to stay in Arizona, and she hoped one day Tawnya would show up at her door -- but she never did. Lori continued to pray she would come home. She bought her Christmas and birthday presents her daughter never received. Lori's hope ran out six months after her daughter's disappearance to the day: June 7, 1997. Her body was found in brush in a farmer's field. A FOX4 reporter at the time wrote: "The farmer was in the middle of tilling his field when he spotted something that he was about to run over. When he took a closer look he realized it was a human skull. The farmer told FOX4 he found the partially decomposed body of a person. An investigator on scene estimated the remains were two months old at the time, and said they discovered a pair of 13/14 jeans and a t-shirt. Her mother says they were able to identify her body through dental records. Detectives had no indication if it was a natural, accidental, or homicidal death. However, the Johnson County Coroner at the time was sure Tawnya was murdered." How the remains of a pretty teenager ended up miles from her home, six months after her disappearance, was the question facing the metro squad's detectives. It's a question investigators still face. It's a question that's haunted Frank and Lori Knight for decades. "It rips your heart out because it's so hard to lose a child," Lori Knight said. The Johnson County Sheriff's Department currently holds the case and said they continue to follow up on leads. However, with no arrests or named suspects, Lori decided to try something different and hired a private investigator with the help of a close family friend. Jeff McDonald is a private investigator who mostly works on fraud cases and surveillance. But when Lori called, he wanted to help. "I just felt the timing was right," McDonald said. "God must have put it there. I've done all my homework, and this is my opportunity to get in there and help somebody find out what's happened 20 years ago." McDonald spent months diving into Tawnya's files, talking to more than 100 people and looking at that night from a whole new perspective. "Tawnya was led to believe there was going to be a party," McDonald said. "I can't find anyone who can say, 'I remember that night. I remember there was a party.'" McDonald believes it was a lie. A fabrication by two people he calls "The Mastermind," a girlfriend of Tawnya's, and "The Heavy," a boy McDonald said had a crush on Tawnya. "Tawnya was gravitating towards her (The Mastermind) because she felt like she was one of the bad girls, and Tawnya wanted to have that edge to her," McDonald said. However, boys were gravitating towards Tawnya, especially one The Mastermind liked. "It was almost a conflict between these two girls, that the one was having trouble getting them but probably wanted a solid boyfriend," McDonald said. "But Tawnya, it was much easier for her to get a boyfriend." It's a conflict McDonald believes led to a murder plot between The Mastermind and The Heavy. McDonald believes The Heavy was estranged because Tawnya shot down his advances. Through Johnson County's files, McDonald learned The Mastermind dropped Tawnya off at a boy's house the night she went missing, thinking she would be back to pick her up later. McDonald said the boys who were playing video games were surprised to see Tawnya. "They weren't quite sure what she was doing there," McDonald said. "She knocked on the door and apparently asked if she could stay there for a while." When The Mastermind never came back to pick Tawnya up, one of the boy's mothers offered her a ride home, but she decided to walk back around midnight. The mother watched Tawnya leave and walk down the road. She is the last person known to see her alive. To get home, investigators said she had to pass a graveyard just off the main path. McDonald said he believes she was lured into the graveyard by The Mastermind and The Heavy. He believes there was a confrontation and Tawnya did not survive. 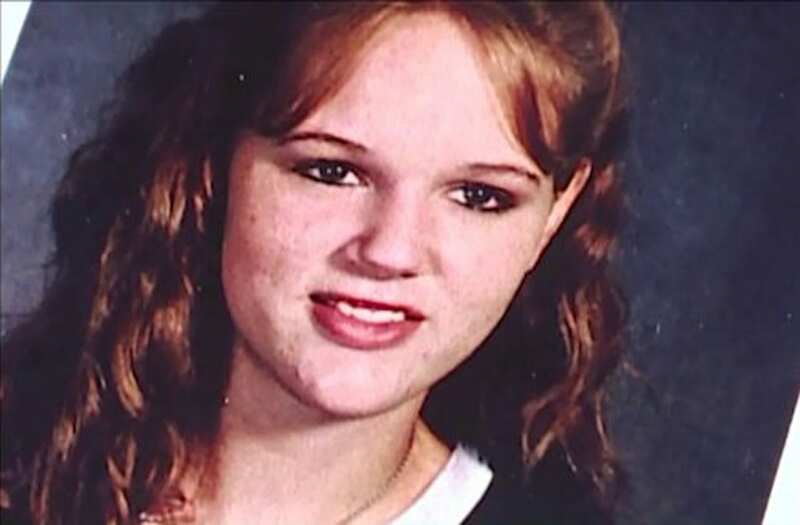 In his theory, he said Tawnya's body would have been dumped just over an adjoining chain link fence from the graveyard, and the spot where her body was found months later in June 1997. "If they knew Tawnya then I don`t know. She didn't deserve to wind up like this, and they can help make it easier because whoever did it doesn't need to be out there," Frank Knight told FOX4 after his daughter's body was identified in the farm field next to the graveyard. He was right: They were out there, and McDonald doesn't believe they were far at all. Deputy Claire Canaan agreed to meet with FOX4 to discuss the investigation. "He's coming in with a different set of eyes looking at the same evidence we've been looking at, and we appreciate that," Canaan said. "We’ve discussed his theories with him, and we plan to look into those further. But at this time we can’t agree or disagree with his theories without further investigation." Once the investigation started, McDonald said both The "so-called" Mastermind and The Heavy were interviewed. The Mastermind was also polygraphed. "They gave an appearance as though they were concerned," McDonald said. "They felt that there was a high amount of deception. When I watched it, she treated it as though it was kind of fun, especially the polygraph. I was surprised that a 16/17-year-old girl could think a polygraph could be fun. It would be something to take lightly, and chit chat about all sorts of things. Not be worried and concerned that the police are looking at me to polygraph me. That I’m this close involved in a potential death." When McDonald was asked if he thought The Mastermind was a psychopath, he replied, "Good question. I think there's evil. I think there's good and evil, and I think there's an element of evil that you and I don't understand." Frank Knight said they were the only two of Tawnya's friends who came to the house after she went missing. "They were asking more questions about the police were doing than anything. After the fact is said and done and over with -- yeah, it didn't seem quite right," Frank said. Both to this day maintain with investigators they had nothing to do with Tawnya's murder. One still lives in the metro area, and the other lives out of state. It's possible neither of them had anything to do with it, but detectives believe someone out there knows more than they are willing to say. "We feel that there may be somebody in that group that has more information that they didn't come forward with," Canaan said. "We just urge them and encourage them to come forward and talk to us, to help us close this case, and bring the closure to the family that they deserve." "I'd like to see them step forward and admit it. It`s time. It's well past time. They know they done wrong. It's time for them to step up," Frank Knight said. "I just got to keep believing that I'm going to get justice because you can't give up hope, and you've got to believe in something," Lori Knight said. If you believe you have information about the night Tawnya went missing, the Johnson County Sheriff's Department asks that you call the TIPS Hotline at 816-474-TIPS. There is a $10,000 reward for information leading to a conviction. You can remain anonymous and possibly close a case that's been waiting for decades.